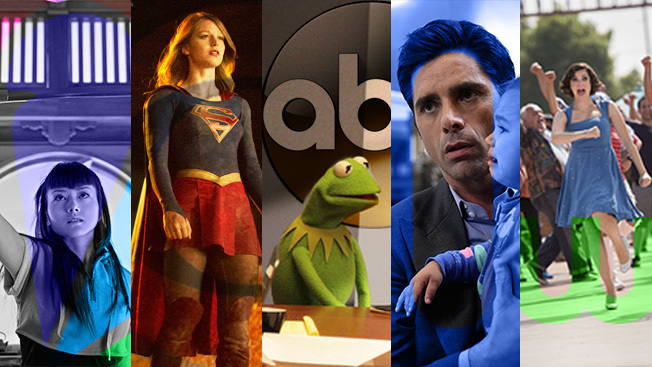 Adweek’s Fall TV Preview: Which New Shows Are Worth Your Time and Ad Budget? There's been a lot of talk about "Peak TV" this summer—FX Networks CEO John Landgraf kicked off the conversation last month when he noted there will be more than 400 scripted original series this year, adding, "this is simply too much television." But we haven't seen anything yet when it comes to an overabundance of TV options. That will come over the next few weeks, as the fall TV season kicks off and the television landscape becomes even more frenetic. The five broadcasters will be rolling out 22 new series over the next two months, with most of those premieres coming in the next two weeks. NBC's Best Time Ever With Neil Patrick Harris starts the fall onslaught on Tuesday, while Chicago Med, also from NBC, will wrap up the fall debuts on Nov. 17. With almost two dozen new shows vying for audiences and advertisers alongside all the returning fall broadcast series, Adweek will be looking at the strength of each networks' new offerings this week. We'll spotlight one network per day, in order of how they finished last season among adults ages 18-49: Front runner NBC is up first on Monday, followed by CBS on Tuesday, ABC on Wednesday, Fox on Thursday and The CW on Friday.